In some crossover experiments, particularly in medical applications, subjects may fail to complete their sequences of treatments for reasons unconnected with the treatments received. A method is described of assessing the robustness of a planned crossover design, with more than two periods, to subjects leaving the study prematurely. 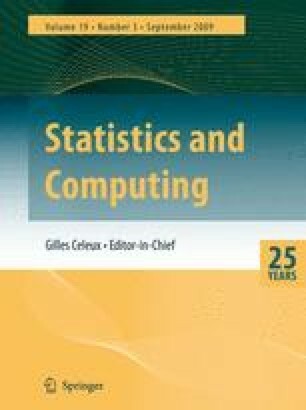 The method involves computing measures of efficiency for every possible design that can result, and is therefore very computationally intensive. Summaries of these measures are used to choose between competing designs. The computational problem is reduced to a manageable size by a software implementation of Polya theory. The method is applied to comparing designs for crossover studies involving four treatments and four periods. Designs are identified that are more robust to subjects dropping out in the final period than those currently favoured in medical and clinical trials.